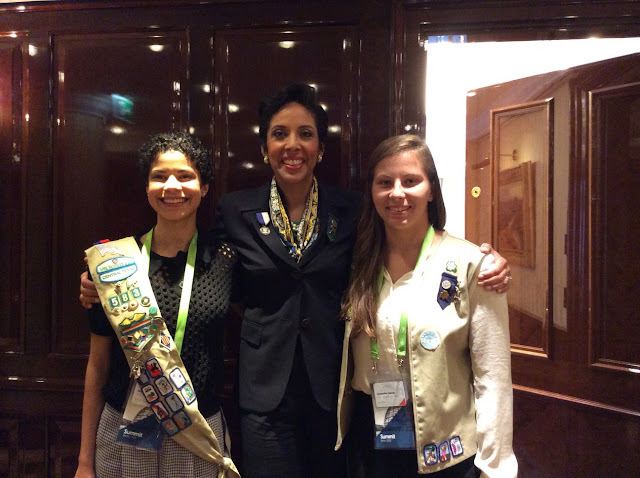 Girl Scouts advocates in support of girls at all ages of development growing into leaders, in their own life and in the world. 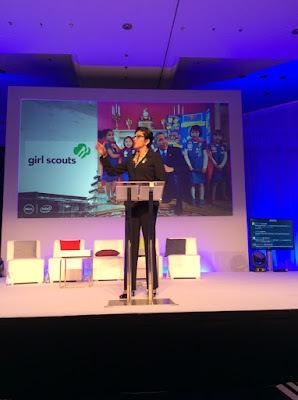 And new research released June 30, 2015, at the Dell Women’s Entrepreneur Network (#DWEN) Summit brings fresh awareness to the ongoing global challenges female entrepreneurs face, and the need to support girls in filling the entrepreneurial pipeline so they can be the leaders of tomorrow. Dell’s Global Women Entrepreneur Leaders Scorecard found that gender-based differences hold high-impact female entrepreneurs back in all 31 countries in the study, and that leadership roles remain male-dominated, making it less likely girls or aspiring young female entrepreneurs would know a woman entrepreneur. This is where Girl Scouts comes in! Studies by the Girl Scout Research Institute (GSRI) on girls’ attitudes, well-being, and healthy development, such as The State of Girls: Unfinished Business and Generation STEM: What Girls Say About Science, Technology, Engineering, and Math, show that while progress has been made for girls across the US with regard to their educational attainment, challenges persist, such as a lack of confidence in their leadership potential and inadequate access to the resources they need to succeed. These study insights heighten the imperative to support girls—not just for their or their families’ benefit, but also for the healthy growth of the world economy. Such challenges remain considerable when it comes to girls establishing and fully developing their leadership potential in areas that interest them. According to recent GSRI studies, girls have limited exposure to STEM fields and shy away from careers in politics. Moreover, leadership isn’t a top goal for many girls. These findings show that while girls do have interest in fields that have been traditionally male-dominated, a gap exists in their confidence in their ability to succeed in them, as they perceive a number of societal obstacles standing in their way. We couldn’t agree more, Anna!